Barter Books : Shakespeare, William : The Works of Shakespeare. 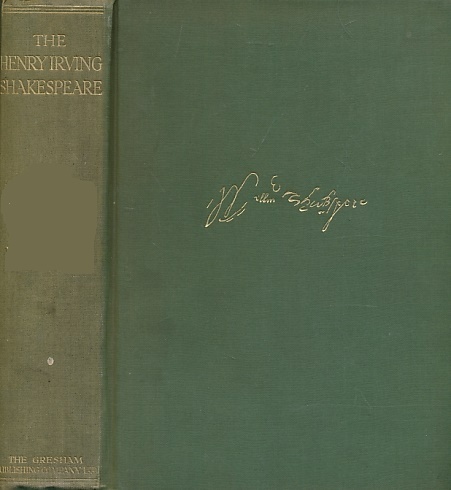 The Henry Irving Edition. Volume V & VI combined. London: Gresham Publishing Co Ltd.
Colour frontis. Numerous b/w plates and vignettes. 230 x 170 mm (9 x 7 inches) - vii, 266pp, 257pp. G : in good condition without dust jacket. Cover rubbed with minor marks. King John; Merchant of Venice; King Henry IV parts I & II; King Henry V; The Merry Wives of Windsor.